Keep watching this space for more info about the CAMB-HAMS DX-pedition to the Isle of Mull from April 26th to May 3rd 2008. LATEST NEWS FROM THE ISLAND!!! The Camb Hams Mull expedition have been active on almost all bands today (Sunday 27th) running pretty much all modes. 80, 40, 20 and 17m seem to have been most favoured HF bands on voice, cw and data. They have also been active on VHF with 6m and 2m data and voice. 2m SSB seems to have been most successful with contacts into Devon and a spotter as far away as Hungary! A promising start to the week. Currently the most significant contacts have been with DG6JF/p @ 561 miles on 2m and OE5MPL @ 1007 miles on 6m. Summits on the Air (SOTA) also saw a number of activations from the team. Allan, MM1BJP, did a sterling job of activating three summits today. These were Ben More, SI-003, the first time in nearly 2 years, Beinn a’Ghraig, SI-043, for the first activation of this summit and Beinn Fhada, SI-034, a summit last activated in Oct 2005! Dave, MM0VMC, Neil, GM4HUN and Voi, GM0BOE were not to be outdone and activated Beinn Chreagach, SI-123 using 2m FM, another summit that has now had its first ever activation! All in all, a great day for the SOTA teams. The team is intending to carry out WAB mini-expeditions on Tuesday (obviously weather permitting! ), hoping to cover as many of the squares as possible. 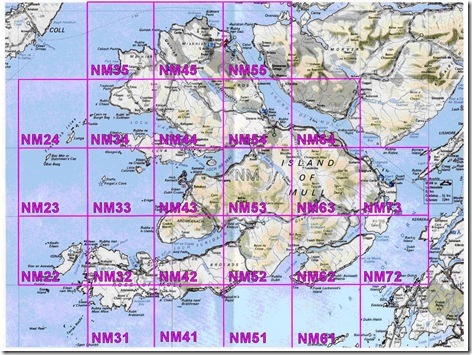 There is also the intention to activate the IO66 grid square using VHF on Tuesday. Keep checking this page for more news from the island. The team will be updating me as often as possible, apparently mobile phone signals can be described as intermittent at best! Having spoken to the team this morning, HF seems very quiet and VHF doesn’t appear to be much better. They should be getting the 4m beam onto the mast today hopefully, so should be QRV on 4m from about 5pm (1700hrs) local time. Quick update – the team are QRV on 4m now (1200hrs local time). The Camb-Hams sat at one pie and pint in late 2007 and decided we had to do some IOTA, SOTA, WAB or VHF portable operation in 2008. Suggested locations were made for SOTA, others for WAB or VHF and many ideas were mentioned for which island(s) to activate for IOTA, most of which were tropical! It was then realised that we can do it all on the Isle of Mull. 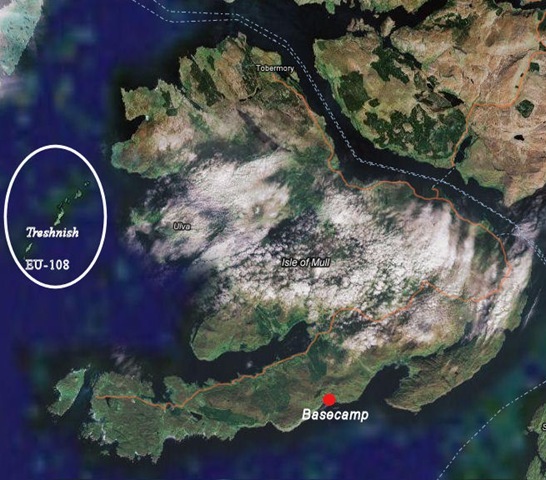 At this point the Camb-Hams DX-pedition to the Isle of Mull was born. We plan to be predominantly operational on most HF bands (inc. 5Mhz), 6m and 2m. We will also have the capability for 4m and 70cm operation, but will only be QRV if there is enough demand. Please see the sections below for more information on each operating section. The G3PYE call sign which will be used from base camp belongs the CRG (Cambridgeshire Repeater Group) and as the activation is in Scotland the prefix becomes GM3PYE/P or GS3PYE/P, both of which will be used. SOTA, WAB and VHF operation from IO66 will be under the operators own call sign, they are listed below in the ‘Operators’ section. Please see the QSL information at the bottom if you are interested in a QSL response. Base camp is at Carsaig on the south coast of the island, OS ref NM545215, lat/long 56.19.31N 5.58.53W, IOTA group EU-008, WAB NM52 and maidenhead square IO76ah. For more info on any aspect of the trip please email us at mull-info@camb-hams.com. For skeds email us at mull-skeds@camb-hams.com. Confirmed operators for Mull: Gavin, M1BXF. Bob, G1SAA. Neil, G4HUN. Daryl, G0ANV. Allan, MM1BJP. Dave, M0VMC. Voi, G0BOE. Geoff, G0DDX. Rob, M1XZG. Colin (BJP’s brother), tea boy. ICOM are in on the act! They are supporting us and have provided an IC-756pro3 + PSU + speaker, an IC-7000 and an IC-703 for the DX-pedition. Many thanks to Ian Lockyer and the team down in Herne Bay for this support! On top of this we will have an a second IC-756proIII, an FT-847, an FT-897D, an IC-910H, a VHF amp, an HF amp plus a handful of FT-817D’s (for SOTA). We plan to run on 2 band simultaneously. The HF stations will consist of 2 x Icom IC-756proIII radios, one will be running into a Ranger amplifier. The antennas will be a full-sized G5RV, 20m 1/4wave vertical and a 40m 1/4wave vertical. Verticals are mainly being used due to the small area required to erect them. One station will be running CW and the other SSB, both will be used for datamodes at various times to give RTTY, PSK31 and SSTV operators a chance to work us – keep an eye on the DX clusters. We plan to work as many WAB squares as possible while on the island. There are 25 WAB squares available but we think 3 of them (NM23, NM33 & NM61) will be difficult to activate. Listen out for us on the rest, mainly under the operators own call sign /M. Base camp is in NM52. More details of the dates and times of operation will appear once we have a good idea of the weather. If you have demand for a particular WAB square please send us an email at mull-skeds@camb-hams.com and we will endeavor to prioritise the most popular squares. 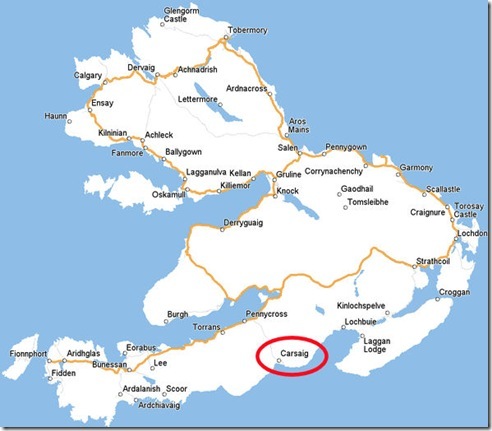 The Isle of Mull falls into the Inner Hebrides group in IOTA. It’s reference is EU-008. At the time of writing EU-008 has been worked by 36.1% of IOTA participants. We will be active on 6m and 2m for most of the time while on the island. We will be capable of 4m and 70cm activity but will only setup the 4m and 70cm stations if there is enough demand. Radios in use will be an FT-897D or FT-847 for 6m and 4m and an IC-910H for 2m and 70cm. 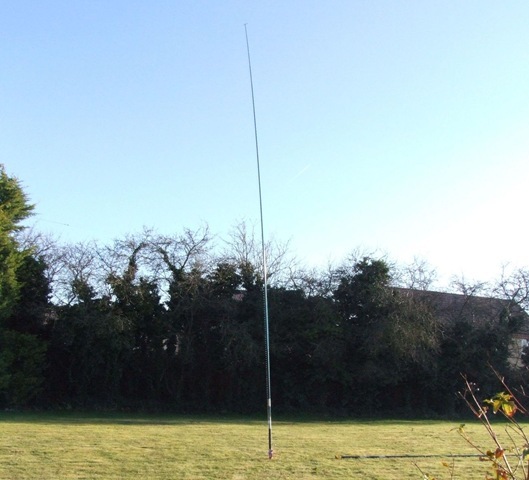 Antennas will be a 5ele Tonna beam on 6m, 4ele Jaybeam on 4m, a 17ele Tonna beam on 2m and a 22ele Tonna beam on 70cm, all will be mounted on our 10m trailer mast but due to size restrictions only 2 antennas can be mounted at any time. Base camp is just in the western edge of IO76 but we also plan to do some /P operation from IO66. SSB, JT6m and FSK441 will be the preferred modes on all VHF/UHF bands and skeds are welcome to mull-skeds@camb-hams.com. If we have internet access you will find us on ON4KST chat (GS3PYE/P) or MSN IM@Camb-Hams.Com. If there is no internet access then any requests for skeds during the trip will be forwarded onto us by other means such as directly over the radio! – UK Stations should include a stamped addressed return envelope. Please do not enclose cash or loose stamps with your cards. Those cards submitted without the appropriate return postage will receive their QSL card via the bureau. Logs will be uploaded to Logbook of the World, eQSL, IOTA and SOTA as quickly as possible after the trip.